In a recent article, we featured a variety of Smart Home Assistants. You would have weighed the pros and cons of Amazon’s Alexa, Google’s Assistant and Apple’s Siri. Now’s the time to choose a piece of hardware that will become your primary smart home controller. Amazon’s Echo products are powered by the virtual assistant, Alexa. 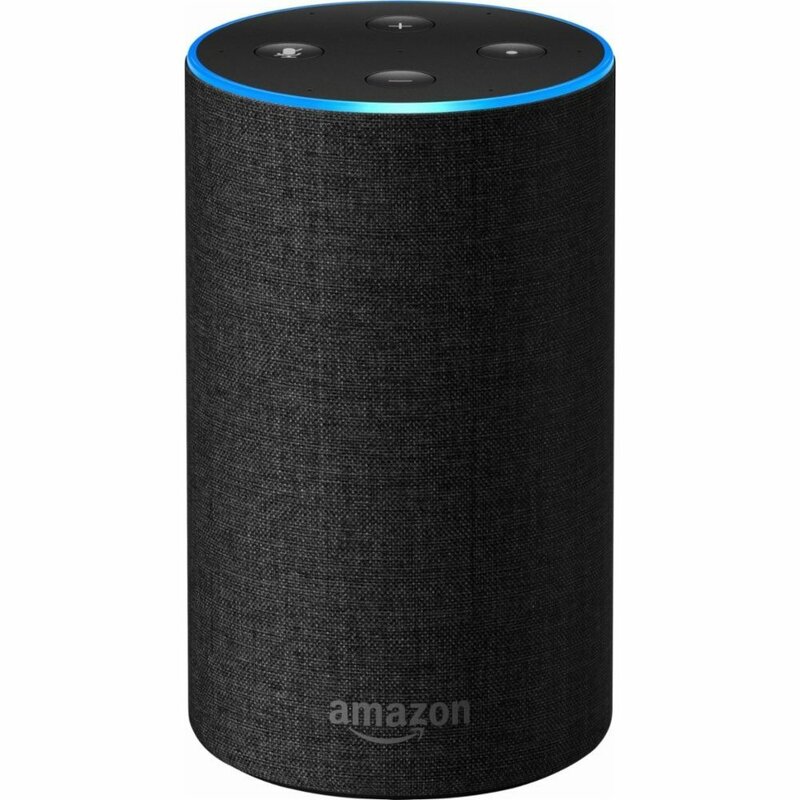 You activate it by saying “Alexa”. All Alexa devices will listen to your voice and perform a wide number of tasks, such as streaming music from Spotify and Pandora, as well as controlling smart-home devices such as thermostats and lights. If you are "kan-chiong” and can’t wait to get your smart home ready to show off to your buddies, buying an Echo product is your best bet because Alexa works with a broader set of smart home accessories than its rivals. What you need to do first is download the Alexa app onto your phone. This app allows you to add skills to work accessories or increase your assistant’s set of capabilities. You have to customize your experience if you really want it to work for you. The mobile app is a convenient portal into managing Alexa-related Amazon account settings. You can see everything you've said to your Echo, what it heard, add and remove devices, and add skills. You can also download skills from the Amazon web browser. If you've set up your Echo, you already know it needs to be tied to an Amazon account, and that account is the one you add apps with. 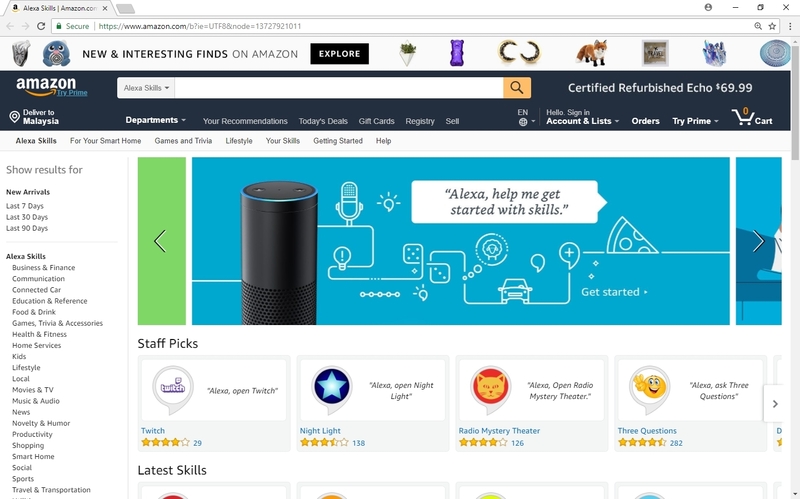 Amazon likes to play Hide and Seek with its users so they buried the Alexa Skills page in menus, so if you've had trouble finding it, you’re not the only one. Once on the Alexa Skills page, you can search for skills, browse by category, and select skills to add. To find home accessories that are compatible with Alexa, look for a “Works With Alexa” logo on the packaging or in the product description. Apple’s iPhones and iPads include Siri, which can be triggered by saying a cool “Hey Siri” or by holding down the home button because everything about Apple is always cool. Apple’s HomeKit smart home platform is a friendly and functional option for anyone who owns an iPhone or iPad and wants to create a DIY smart home system. Like Amazon’s Alexa, Apple’s Siri works with many popular smart home accessories—including thermostats, locks, and cameras. Unlike Amazon’s Alexa, HomeKit doesn’t require you to purchase and configure a Smart Home hub, even if you have several dozen smart-home devices. All you need is your iOS device, Apple’s Home app, and whatever HomeKit-compatible products you choose to start with. The fun begins when you add an Apple TV (or an iPad that doesn’t leave home) or a few units (this depends on the size of your home) to the mix. This addition enables remote notifications as well as control of HomeKit devices when you’re away from home. With the Apple TV (or an iPad that doesn’t leave home), you can create automations such as dimming your living room’s overhead lights to 50% brightness if the sensor detects no activity between 10pm and 6am (you can set the time). This multilayered automation takes under a minute to create and most importantly, uses natural language and a few finger taps to accomplish its tasks. If you already have some smart home devices installed and hope to have a centralised smart-home system, be sure to check if they work with Apple’s HomeKit. To use HomeKit, you’ll need a relatively recent Apple iPhone, iPad, or iPod Touch and that device must be running the most recent operating system, currently iOS 11. If you’re unsure if your device can be updated, check out Apple’s official list of compatible devices. Once you’ve successfully added devices to your HomeKit home, you can control them in a number of ways: using the Home app, using each device’s companion app, using third-party control apps, or with your voice via Siri, Apple’s built-in virtual assistant. The Home app displays a status rundown of important updates—an unlocked door, or a failure to reach a device—along with a grid of your Favorite devices. You should note that Apple’s HomeKit has been distinguished by a focus on security that has appealed to savvy consumers. Because of this, it is harder and more expensive, compared with Alexa, for third-party companies to develop compatible products that meet Apple’s stringent hardware and software standards. Also, because it is Bluetooth wireless, which is used by many battery-powered smart home devices, this can cause delays or hesitation. You might also need to add multiple Apple TVs to act as repeaters for your devices in order to be consistently in range. The other big issue, which seemingly won’t be resolved, is that HomeKit is Apple-only—in fact it’s currently iOS only, meaning Macs and MacBooks can’t control HomeKit devices—and the company doesn’t seem interested in opening up its platform the way it has with other software, such as iTunes. To find compatible products, look for accessories that are labelled “Works with the Google Assistant” on the packaging or in the product description. The Google Home smart speaker uses voice commands to retrieve news, music, entertainment, quick answers to easy questions, and especially to control lights and appliances throughout the house. We've seen plenty more devices with Google Assistant since the company unveiled the original Google Home and added the Mini and Max editions. Google has rolled out a feature that enables you to import contacts from your phone and make phone calls just by asking. The Home will make the call from either a private phone number or, if you have your Google account synced to your cell phone, using your own number. From the sounds of it, all you need is an active internet connection to make the calls – that means you won’t need a landline or even a cell phone to make calls at home. Google Assistant now makes it possible for English-speaking Google Homeowners in the UK, US, Canada and Australia to set one-off or recurring reminders using their voice, even months in advance of events. If you’re a music fan, you’ll be overjoyed to know that Google Home can access all sorts of streaming services – Google Play Music, YouTube Music, Spotify and Pandora – and works as a Wi-Fi speaker thanks to its built-in Google Cast capabilities. Think of any song and Google Home should be able to find it on Google Play Music’s 30-million-plus catalogue. Sound quality-wise, Google Home comes off as less robust with little separation and little punch in the low-end or clarity in the mids and highs. Now, it’s not completely incapable of playing decent-sounding music – it does have some bass and some mids – but, if you’re expecting to party at home with Google Home instead of your Hi-Fi setup, you’ll be severely disappointed. Setting up Chromecast and telling your Google Home to cast your favourite songs or even videos to your Hi-Fi and TV respectively will solve this issue. Some of the smart home devices that Google Home can connect to are Nest thermostats, Philips Hue lightbulbs and Samsung’s SmartThings platform. Although you’ll frequently need to sign into third-party products, once you’re in the functionality, it works well. All these integrations sound exciting but ironically, Google cannot integrate with many of Google’s own services – like Gmail, Voice and Docs – unlike Apple’s HomeKit. For instance, it is unable to create new events in Google Calender (although it is able read out existing events in your calendar), make phone calls with Google Voice or jot down some quick notes in a Google Doc. The best comparison for Google Home is the Amazon Echo. They both have identical functions, fetch music from similar sources and get stuck by the same set of questions. It can be said that Amazon’s Echo is the more capable of the two thanks to the dozens of developers who have created bespoke commands.